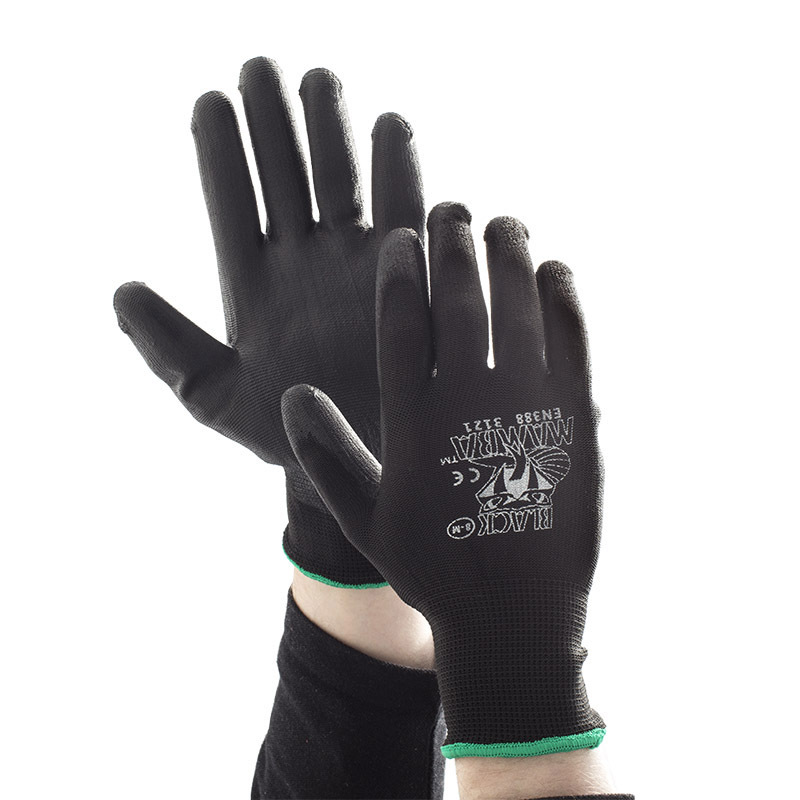 There are a large array of safety gloves and protective equipment available on the market, for different specifications. If your job involves the handling of glass or knives, for instance, Cut Resistant Gloves may be just what you need. Similarly, if you work with chemicals, you may require gloves designed to protect your skin from particular harmful substances. 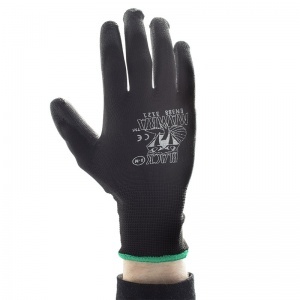 These gloves are often relatively heavy duty to provide the user with maximum protection. But what if you don't need protection to this extent, and simply desire a lightweight glove suitable for light industrial work? 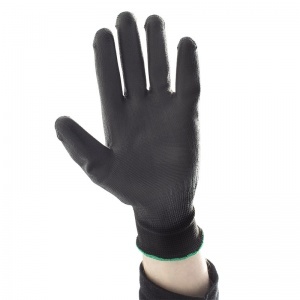 The Black Mamba PU Dipped Material Handling Glove PR-PC are for those working within industries where chemical or cut resistance are not a concern. 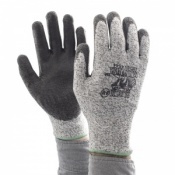 Comfortable and breathable, they provide the user's hands with basic protection without weighing them down. That way, you can get on with your tasks without impacting your dexterity. If you work in a warehouse, your tasks may include the handling of products, cleaning, picking and packing. Whilst it is unlikely you will come into contact with harmful substances or very sharp objects the way you might when working in other professions, for instance mechanical engineering or window installation, your hands may still require some protection. Handling objects such as scissors, Stanley knives, paper, card and plastic, which can still pose a risk. Furthermore, as warehouse work requires regular use of your hands, they may become scratched, worn, chafed or sore. 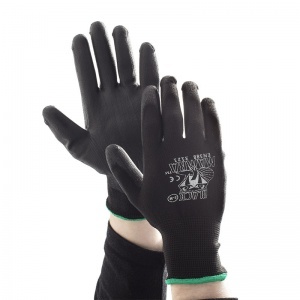 The Black Mamba PU Dipped Gloves are ideal for this line of work, offering less protection than more heavy duty gloves but simply enabling you to feel more comfortable as you work. 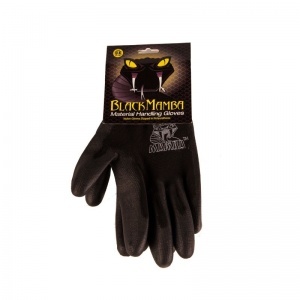 The Black Mamba PU Dipped Material Handling Gloves PR-PC are available in sizes M - XL. Please select from the drop down menu above.